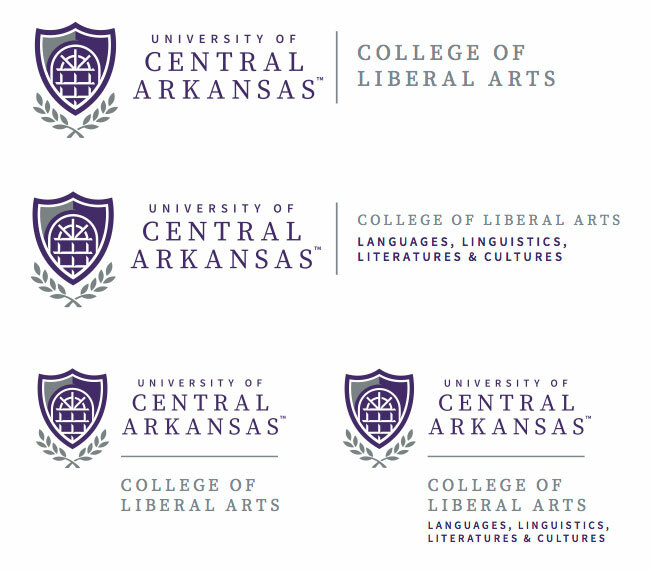 Official University of Central Arkansas logos including primary, secondary, and spirit marks are available for download in the BEARSHARE Brand Portal. 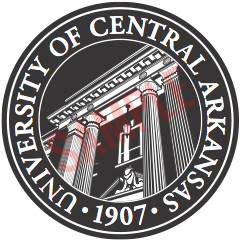 All official logos, marks, and symbols included are trademarks of the University of Central Arkansas and the sole property of the University. All other entities not listed above must secure permission from University Marketing and Communications before using official logos, marks or symbols of UCA. All other entities, including students and student organizations, must secure permission from the office of University Marketing and Communications before using official trademarks. Please send requests for trademark usage to branding@uca.edu. Our primary University logo (full-color shield with wordmark) is the preferred logo for marketing and communication materials. Secondary logos may be used in place of the primary logo due to size restrictions or other specific production requirements. The primary logos should be used whenever possible. The bear head and bear paw are available for use as spirit marks and may be used to promote bear pride in University communications and promotional materials. University units are not allowed to create logos using the bear head or bear paw. Spirit marks should never be used in place of the academic logos. The University seal is a restricted use mark. Use of the seal is primarily limited to the Office of the President and the Office of the Provost. The seal is intended for formal displays, transcripts, graduation materials, official recognition and legal documents. Permission to use the seal must be obtained through the office of University Marketing and Communications at branding@uca.edu. Athletic logos are reserved for use by the athletics department and should not be used to represent the University in administrative or academic applications. For additional athletic logo and licensing information visit ucasports.com. Academic and administrative unit marks are in the BEARSHARE Brand Portal. Departmental marks are created as requested and added to the BEARSHARE Brand Portal. Contact branding@uca.edu if you are in need of a department or office mark set. For additional questions or requests, please contact the office of University Marketing and Communications at 852-0142 or email us at branding@uca.edu.